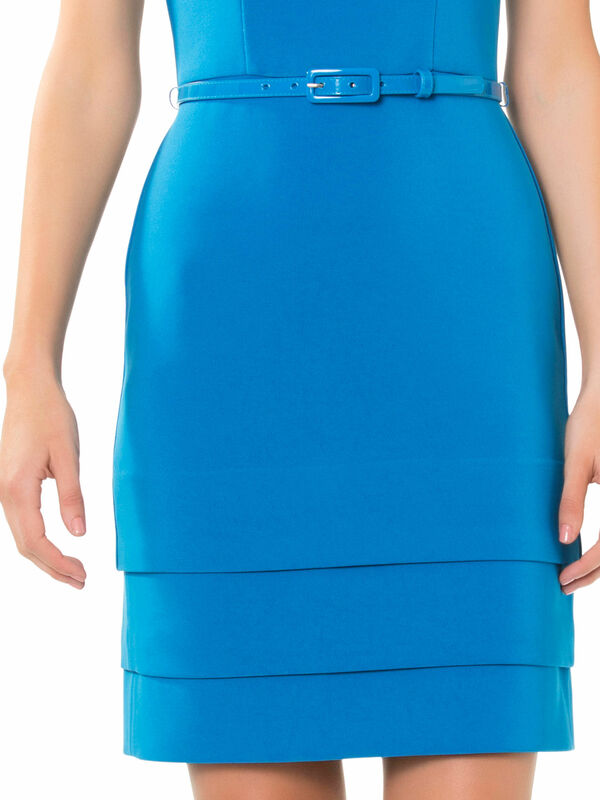 Octavia Dress https://www.review-australia.com/au/octavia-dress-blue/RE19DR098.REBLU122.html Make a bold yet streamlined statement in the Octavia Dress. A favourite for elevated office dressing, parties and more, this sleek style is crafted from a heavy weight stretch fabric with a sleek finish. Sleeveless, the dress features a scoop neck, matching removable belt at the waist and a triple layered hem. Make a bold yet streamlined statement in the Octavia Dress. A favourite for elevated office dressing, parties and more, this sleek style is crafted from a heavy weight stretch fabric with a sleek finish. Sleeveless, the dress features a scoop neck, matching removable belt at the waist and a triple layered hem. Octavia Dress is rated 4.9 out of 5 by 25. Rated 5 out of 5 by Rosee from Gorgeous colour, high quality & comfortable The Octavia Dress caught my eye online, so I tried it on instore. I love the colour, but it's the fit that is the best bit! It's heavy on the outer layer so there's no risk of blowing in the wind, but like most Review items, also had a high quality lining which makes it a real pleasure to wear. The skirt part has cute layering, and overall is just a nice simple dress that I'll use for anything from work to special occasions. This is definitely my new favourite piece of clothing! Rated 5 out of 5 by Sal BB from Beautiful dress I've been looking at this dress for some time, I liked it but... Anyway, I decided to buy it online especially as it was in the sale with an additional 40% off. It arrived today and oh my goodness it's perfect! The colour is beautiful, the fit is perfect and true to size. Love it! Rated 5 out of 5 by Manda from Gorgeous colour! This dress is a beautiful color and true to size, I love the detail at the bottom. It can be worn during the day and dressed up for the night, very versatile! As always its excellent Review quality and looks stunning. 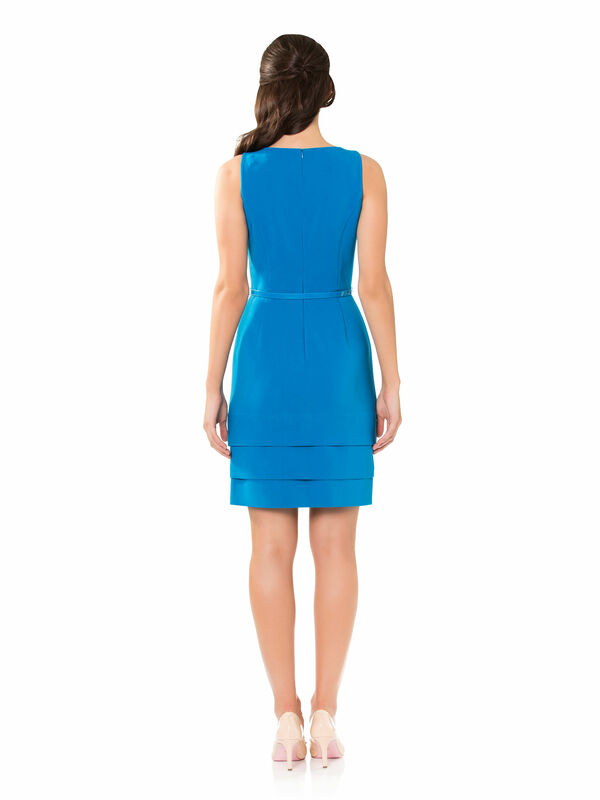 Rated 5 out of 5 by aarteestic from Unique look, fit and feel Such a smooth fit, corporate style with chic look, all in one dress. The fabric is gorgeous and the dress can be beautifully paired with white crop jacket or black crop jacket/blazer. I wish it came in more colours. Rated 5 out of 5 by Devi from Beautiful colour & the dress fits me well I went to shop today and fell in love with blue dress. I tried it on and really fit to me. The staff in the Emporium store is really nice and helpful. Never fails with Review dress. Rated 5 out of 5 by Review Queen from Elegant I bought this for work and I love it! I receive lots of compliments each time I wear it. The bottom layers add a bit of weight... I’d like it to be a bit lighter. Rated 5 out of 5 by Nathalie from Versatile dress! Very high quality material, does not crease. Colour matches almost any belt and shoe combination. A highly versatile dress for work or outings !